Background/Purpose: Juvenile Idiopathic Arthritis (JIA) is the most common chronic arthritis of childhood. The prevalence of autoimmunity is higher in JIA cases and relatives. The prevalence of celiac disease (CD) in JIA has been reported to be 0.1% to 7% in small studies. CD is 3 to 10-fold higher in asymptomatic individuals with other autoimmune diseases or chromosomal abnormalities for which screening is recommended. Tissue transglutaminase (tTG) IgA has high specificity for CD in individuals with normal IgA levels. The prevalence of IgA deficiency ranges between 1 in 330 to 2200 persons, and has been reported to be higher in JIA. Our aims were to estimate the prevalence of IgA deficiency and tTG IgA in a cohort of JIA followed in two large academic medical centers. Methods: Subjects were 830 cases with JIA per the ILAR criteria (ages 3 to 21 at the time of collection) and 205 healthy controls (ages 3 to 69). Serum was collected and stored from all subjects and analyzed in a reference laboratory for total IgA (Quantitative Nephelometry) and tTG IgA antibody levels (Semi-Quantitative Enzyme-Linked Immunosorbent Assay). Standard reference levels of tTG IgA 0-3 U/mL as negative, 4-10 U/mL as weak positive and >10 U/mL as positive; and IgA <7 mg/dl for IgA deficiency were applied. Those with IgA deficiency were excluded from the tTG IgA analysis. Fisher’s exact tests were performed for statistical significance. Results: Ten JIA cases (1.2%) and none of the controls had IgA deficiency (p = ns). Cases with IgA deficiency were mostly female (70%), and had the following JIA subtypes: oligoarticular = 5, polyarticular Rheumatoid Factor (RF)-negative = 2, polyarticular RF-positive = 2, and enthesitis-related = 1. In all 16 cases (2%), and 8 controls (3.9%) had an abnormal tTG (p =ns). After excluding the weak positives, we observed 7 cases (0.8%) and 3 controls (1.5%) with tTG IgA >10u/mL (p=ns). Cases with tTG IgA >10 u/mL were mostly female (71%), and were oligoarticular =3, polyarticular RF-negative =1, polyarticular RF-positive = 2 and enthesitis-related =1. From the healthy group with tTG IgA >10 u/mL the majority were female (67%). Conclusion: Using the largest JIA cohort to date to investigate prevalence of celiac antibodies, we show that the prevalence of positive tTG IgA was 0.8% and the prevalence of IgA deficiency was 1.2%. Our results did not demonstrate a higher prevalence of abnormal tTG IgA in JIA. We do not recommend routine screening of asymptomatic JIA patients for CD. Disclosure: A. Taneja, None; S. Prahalad, None; A. O. Hersh, None; L. Ponder, None; L. H. K. Chan, None; K. A. Rouster-Stevens, None; A. E. Tebo, None; S. Kugathasan, None; J. F. Bohnsack, 5. Taneja A, Prahalad S, Hersh AO, Ponder L, Chan LHK, Rouster-Stevens KA, Tebo AE, Kugathasan S, Bohnsack JF. Prevalence of Celiac Antibodies and IgA deficiency in Juvenile Idiopathic Arthritis [abstract]. Arthritis Rheumatol. 2017; 69 (suppl 4). 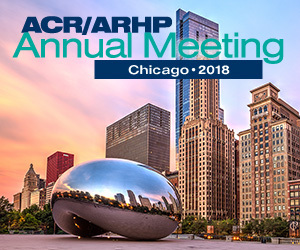 https://acrabstracts.org/abstract/prevalence-of-celiac-antibodies-and-iga-deficiency-in-juvenile-idiopathic-arthritis/. Accessed April 18, 2019.